Monograms has created all-in-one packages a cut above going on your own, while leaving the group behind. Each package comes with hand-selected hotels, plus "they really do that?" service of a Monograms Local Host®-a local expert available throughout your stay. We've arranged sightseeing, exclusive to Monograms guests, complete with VIP access into some of the most incredible attractions (that means you skip the lines). We've arranged transportation and we offer a selection of special excursions. With Monograms, you travel in style independently without going it alone. Welcome to Quito. Your hotel is available for mid-afternoon check-in. Fly to Coca and travel by motorized CANOE to your selected Amazon lodge, your home base for the next three nights. At the Napo Wildlife Center: Your time in the Amazon accompanied by a Local Guide includes early morning EXCURSIONS to parrot clay licks; dugout canoe rides in search of river otters, potoos, kingfishers, hoatzins, jacamars, hawks, and monkeys; and walks along the canopy platform to view Spider Monkeys, aracaris, toucans, Blue and Gold Macaws, numerous species of tanagers, and the Red-Rumped Cacique. In your free time, consider a walk through the jungle in search of interesting plants and colorful or well-camouflaged insects. You are also invited to join families of the Anangu indigenous community on their daily activities, such as harvesting bananas, coco, and manioc. At the Sacha Lodge: During your stay, enjoy EXCURSIONS with a Naturalist who introduces you to the Amazon. On the suspended rainforest canopy walk your Naturalist points out many different species of vibrantly colored birds. Jungle walks show off the immense biodiversity and medicinal plants that have been used by the native cultures for hundreds of years. Visit the lodge’s butterfly house, one of Ecuador’s largest, and take a night walk or canoe ride with a Local Guide to discover creatures that can rarely be seen during the day! You will also cruise through the flooded forest in search of troops of squirrels, capuchin, and howler monkeys—and maybe even the incredibly well camouflaged 3-toed sloth. After fishing for piranhas, arrive at the Kapok Tree tower, perched 135-feet high. Get close-up views of birds as the sun sets on volcanic Mount Sumaco and the Andes. 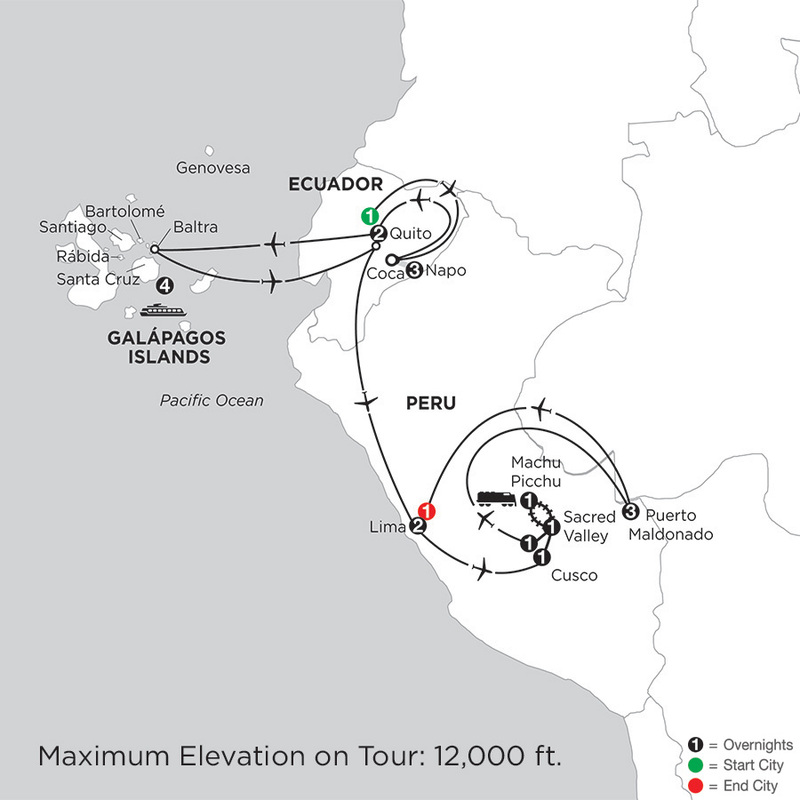 Depart your Amazon lodge and fly from Coca to Quito today. The remainder of your afternoon is at leisure. Your included PRIVATE CITY TOUR showcases the rich legacy left by the Incas and, later, the Spaniards. See Independence Square, dominated by its formidable Cathedral, San Francisco Plaza Church, and the Basilica with its marvelous stained-glass windows. Fly to the Galápagos Islands and board the Santa Cruz II. Visit Las Bachas on SANTA CRUZ ISLAND, an important nesting area for the East Pacific green sea turtle. See brackish lagoons just steps away from the sea, a feeding ground for various wading birds—from stilts to flamingos. Arrive at Buccaneer Cove on SANTIAGO ISLAND to explore the dramatic coastline inhabited by a large number of marine birds, sea lions, and inter-tidal organisms. You will also have the opportunity to snorkel and take a ride on the panga or the glass-bottom boat. Later, at Puerto Egas, known for its black-sand beach, tuff-stone layers and lava flows, see land and marine birds, as well as a colony of fur sea lions, marine iguanas, and marine turtles. On RÁBIDA ISLAND with its red-colored beach, caused by the unusually high content of iron in the volcanic material, your Naturalist points out large colonies of sea lions, marine iguanas, mockingbirds, yellow warblers, and several species of Darwin’s finches. Very close to the beach, a salt pond occasionally hosts American flamingos. Snorkel from the beach to see the unique combination of underwater species and submarine landscapes. At BARTOLOMÉ ISLAND, hike to the summit for a stunning view of Pinnacle Rock. Take a snorkel or a ride on the glass-bottom boat and possibly see Galápagos penguins in tropical waters! On GENOVESA ISLAND, take a walk up Prince Phillip’s Steps as your Naturalist reveals large colonies of masked boobies, blue and red-footed boobies, frigatebirds, storm petrels, and short-eared owls. In the afternoon, disembark on a beautiful beach at Darwin Bay to observe frigatebirds, red-footed and masked boobies, herons, finches, and mockingbirds. Return to the beach for snorkeling, kayaking, and swimming. Disembark at the north shore of Santa Cruz Island for a visit to a TORTOISE RESERVE in the highlands. Here you will see and learn about the Giant Galápagos Tortoises living in the wild and what is been done to help preserve these ancient creatures. Later, fly to Lima, Peru. Your included CITY TOUR focuses on Lima’s rich colonial history as well as the modern city. Lima was the bastion of Spanish South America from its founding in 1535 until the independence of the South American republics in the early 19th century. See the Cathedral, where the remains of Francisco Pizarro are sealed in a wooden coffin and with its eerie burial crypts and visit the Santo Domingo CONVENT to see the relics of three famous Peruvian saints –Santa Rosa de Lima, San Martin de Porres, and San Juan Macias. Fly to Cusco, high in the Andes. Your guided TOUR visits the Santo Domingo MONASTERY, previously the Koricancha Temple, one of the most important temples devoted to worship of the sun. It is said it was covered in gold leaf and filled with golden representations of nature. In the Plaza de Armas, see the Cathedral before taking a short drive outside the city to the ruins of SACSAYHUAMAN with its intricate stone walls, amphitheater of KENKO, and the Red Fortress of PUCA PUCARA. Today, a short drive into the Sacred Valley of the Incas brings you to AWANAKANCHA to learn about the importance of the alpaca (llama) for Inca cultures, as well as the ancient weaving techniques. Continue, to the market town of PISAC, where you can buy handmade rugs, alpaca sweaters, and jewelry at bargain prices. Later, visit OLLANTAYTAMBO and see some of the finest examples of Inca masonry. Board a TRAIN bound for MACHU PICCHU and cut a path through the Sacred Valley to this “Lost City of the Incas,” discovered by American explorer Hiram Bingham in 1911. On a guided TOUR, explore this intact fortress with its temple remains, holy houses, and mile-long aqueduct. For hikers, a brisk one-hour walk leads to the Sun Gate, the ancient entrance used by the Incas. A morning at leisure allows you to wake up early to see the sunrise over MACHU PICCHU with your second included entrance to the ruins. Return to Cusco, where your Local Host will recommend options for your free time. Perhaps visit the Inca Museum or wander through the artisan district of San Blas. At Hacienda Concepción: Fly to Puerto Maldonado, capital of Madre de Dios and the entry to Peru’s Amazon Jungle. Embark on a MOTORBOAT for a journey up the Tambopata River to view the exotic wildlife. Arrive at your Amazon Jungle lodge and meet your Naturalist. After settling in, head out with your Naturalist for a WALK along nature trails to learn about primary and secondary rainforest. At dusk, take a CANOE RIDE to learn about the Amazonia river ecosystems, nocturnal animals’ behavior, and the southern constellations. At Refugio Amazonas: Fly to Puerto Maldonado, capital of Madre de Dios and the entry to Peru’s Amazon Jungle. Embark on a MOTORBOAT for a journey up the Tambopata River to view turtles, caimans, monkeys, and river birdlife such as capped herons, black skimmers, and kingfishers. Arrive at your unique Amazon Jungle Lodge where you will meet with your expert Naturalist who will help tailor your time in the Amazon with various included activities. At Hacienda Concepción Day 18: Walk into the TAMBOPATA NATIONAL RESERVE with your Naturalist, then navigate by dugout canoe around LAKE SANDOVAL, a beautiful oxbow lake. Learn about the reserve’s conservation efforts and the animals that inhabit this lake, such as the endangered giant river otters, blue and yellow macaws, red howler monkeys, and black caimans. This afternoon, the CANOPY WALKWAY shows you a different perspective 100 feet above ground. After night falls, your Naturalist introduces you to the nocturnal animals of the Amazon. At Hacienda Concepción Day 19: A short boat ride brings you to a NATIVE FARM where farmers use ancient methods to grow crops. Learn about local cultivation techniques and taste some of the produce. This afternoon, visit a CLAY LICK to observe wildlife from a blind to observe the normal routine of the fauna without disrupting the environment. At Refugio Amazonas: During your time in the Amazon, you can choose from over 20 different, included EXCURSIONS designed to satisfy your personal preferences. Some examples include taking a canoe ride to Oxbow Lake to search for the resident giant river otters, howler monkeys, macaws, and other fauna. Take a walk to the Canopy Tower to observe the forest and river and its inhabitants. Visit a local farm to meet local farmers and learn about the Amazon’s crops. You can also learn about the biodiverse flora found here and their medicinal uses on an Ethnobotanical tour. Perhaps, visit clay licks where you can watch from a blind as mammals, parrots and macaws perch to eat clay. At night, be sure to venture out with your expert guide who will help you discover the many nocturnal jungle creatures. Plus many other included options! Fly to Lima, where the remainder of the day is at leisure. The Mercure Grand Hotel Alameda offers comfort combined with contemporary décor. The hotel features a restaurant with regional and international cuisine, bar, laundry service, business center, and fitness center. This hotel is centrally located in downtown and close to many attractions. Accommodations at the Grand Mercure Alameda ensure a good night rest by offering plush bedding and rich textures. The list of amenities include air-conditioning, Pay per view movies, wireless internet and a safe deposit box. The lodging at Sacha was carefully designed to offer comfort to the traveler yet preserve the environment and rainforest ambience. Amenities include a restaurant, bar, canopy walk, canopy tower, butterfly house, and laundry services. Situated within a 5000-acre private ecological reserve in Ecuador's Amazon region and 50 miles down the Napo River from Coca. Each of 26 cabins feature high thatched roof, private shaded terrace constructed with traditional materials, private bath, screens to protect against insects, and ceiling fan. Conceived for operation in remote areas, the new Santa Cruz II is a state-of-the-art expedition vessel and provides the perfect infrastructure for Galápagos exploration. Carrying its crew's heritage of decades of experience working in the islands, the generous, five-deck craft holds 50 cabins with a capacity for 90 passengers. The ship has an intelligent layout with wide hallways, broad stairwells, and choice, contemporary materials throughout. From indoor and outdoor dining areas, the gymnasium and Jacuzzis to the elegant bar and lounge, and the well-stocked library, the ship is designed to please with sophisticated simplicity. One of the newest boats in the Galápagos archipelago is the 50-cabin Santa Cruz II, introduced in 2015! With capacity for just 90 passengers, this ship boasts maximum deck and ship space. Located on the middle Expedition deck, the Santa Cruz II's Swedish-designed cabins reflect the latest in cruise trends. Comfortable spaces and large picture windows illuminate the interior spaces and allow guests to take in the views, offering elegant relaxation areas after a day of active exploring. Guests will enjoy 64% more cabin space than many other vessels in the Galapagos. This hotel welcomes you to Lima in comfort and style. It is located in the center of Lima's bustling district of Miraflores, within walking distance of shops, restaurants, bars, and other Lima attractions. The excellent Casa Andina Select Miraflores exudes sophistication and comfort, focusing on personalized service and great amenities. This modern and comfortable hotel is perfectly positioned near Waikiki Beach, Kennedy Park, and the Cultural Center. After enjoying the sights of Lima, the Casa Andina Select Miraflores offers comfortable beds, great food, friendly staff, and stylish atmosphere. Bursting with character, the Posada Del Inca Yucay is the leader in boutique hotels in the Sacred Valley. Featuring a rustic ambiance with modern comforts, dynamite local cuisine, and friendly service, it makes for a memorable stay in one of the most remarkable places in the world. The colonial-style former monastery is surrounded by views of the Andes and beautiful gardens - a leisurely and soothing escape. The Posada del Inca Yucay is located in the heart of the Sacred Valley, a one-hour drive from the ancient Inca capital of Cusco and close to Machu Picchu. Each of the hotel's 88 comfortable and spacious guestrooms feature individually controlled heating, digital safe, Wi-Fi, and bathrooms with both a tub and shower. Smart and contemporary are the defining elements of this hotel, amidst the commercial village of Machu Picchu Pueblo; it welcomes a wide range of guests expecting an uncomplicated visit. Hotel amenities include a restaurant, bar, hot-water pond, gift shop, Internet, and laundry service. Situated in the village of Aguas Calientes. Each room is equipped with blackout curtains, 100% cotton sheets, down duvets, hypoallergenic pillows, cotton bath robes, natural herbal amenities, 32" flat screen TVs and tight-focus reading lights. The lodge sits deep within the heart of Peru's Amazon, located between the Tambopata National Reserve and the shores of the Madre de Dios River. The grounds of the lodge cover 819 hectares of mostly primary rainforest, with a natural oxbow lake making it home to diverse ecosystems, tropical plants, and wildlife. The design combines classic rainforest hacienda furniture with modern more casual features to create a comfortable, fresh but stylish environment. Guests will live an Amazonian experience surrounded by an array of wildlife and native flora. Sensitively positioned within walking distance of beautiful and solitary Lake Sandoval, Hacienda Concepcion is the latest addition to luxury jungle lodges by Inkaterra, and offers a rustic chic atmosphere amidst the unspoiled wilderness pristine Amazon. Just relax or unwind to your heart's content. 19 private cabanas sit majestically on stilts with high ceilings and rustic thatched roofs peppered around the secluded property. Each guestroom has a private bathroom with hot water, electricity at specific times of the day, ceiling fan, picture windows with views of the forest, hammocks, and mosquito-netted beds. The Hilton Colon Quito hotel is 10 minute walk from the colonial Old Town, a UNESCO World Heritage Site. This modern hotel enjoys spectacular views of the city. Amenities include a fitness center, spa, outdoor heated pool, 5 restaurants/lounges, laundry service, concierge, florist, barber shop, and gift shop. Just 20 minutes from Mariscal Sucre International Airport and a 10-minute walk from colonial Old Town, a UNESCO World Heritage Site. Every room is equipped with cable TV, a alarm clock-radio, two phones, in-room safe, coffee maker, mini bar and hair dryer. Recognized as one of the best hotels in Quito, the JW Marriott surpasses expectation and meets every comfort a traveler would need. With first-rate amenities, superb service, and exceptional cuisine choices, you can simply relax and enjoy your Quito experience. As it is nestled in the city center, there are also countless activities and conveniences for guests. Take in Quito's lively atmosphere and enjoy this city oasis, leaving the details to Marriott. Located in the heart of Quito on Amazonas Avenue, the JW Marriott is recognized as one of the best hotels in Quito. Comfortable guestrooms feature breathtaking views, high-quality bedding, spacious marble bathrooms, high-speed Internet access, and LCD TVs. The Napo Wildlife Center Amazon Lodge is the ultimate alternative luxury eco-hotel in Amazonian Ecuador. Amenities include a restaurant, bar, two parrot clay licks, two canopy towers, boutique, library, Internet, and laundry service. Located by Añangu Lake, the hotel is within the ancestral territory of the Anangu Quichua community and inside Yasuni National Park. The lodge consists of 12 cabins, each of which features private bath, private porch with lake view, ceiling fan, safety deposit box, and secure screens for bug-free ventilation. With its stylish contemporary design, cutting-edge technology and ideal location, the flagship Casa Andina Premium Collection Miraflores hotel is the top of its class in every aspect. Amenities include a restaurant, bar, coffee shop, beauty salon, spa, pool, gym, business center, gift shops, and laundry service. In the heart of the Miraflores district, the hotel is just two blocks from Parque Kennedy, minutes from the Pacific coast, and is surrounded by Lima's finest dining and shops. In addition to cable TV, air-conditioning, telephone, in-room safe, and soundproof windows, guest rooms feature top-quality bedding and linens, luxurious marble bathrooms, breakfast tables, and Peruvian artwork selected by curators of the renowned Larco Museum. The JW Marriott Hotel Lima awaits with a stunning central location, awe-inspiring architecture and magnificent views. Towering above grand, oceanside cliffs in Lima, Peru's Miraflores district, the JW Marriott Hotel Lima offers sweeping panoramas of the Pacific Ocean from every guest room. The hotel's 25-story, ultra-modern glass tower makes a grand statement as the most cosmopolitan and contemporary of Lima luxury hotels. Spacious rooms feature new bedding from Marriott with designer duvets and plush pillows. The hotel is home to a 5-star gourmet restaurant, a health club, spa, and fitness center, and a pristine pool. Enjoy the first-class service and facilities that create a haven for relaxation and rejuvenation. One of the most luxurious properties in Lima, The JW Marriott Hotel Lima is located in the Miraflores district, near the LarcoMar Shopping & Entertainment Center, conveniently close to dozens of activities and sites. An elegant and modern, luxury hotel with finely appointed rooms, Swissôtel Lima is located in the heart of San Isidro, the most attractive business, residential and cultural district of the city. Offering a luxurious Swiss touch with fresh, stylish accommodation complemented by cutting-edge amenities, it boasts special features like the Oro Fit gym and spa, with top-of-the-line gym equipment and pampering body treatments. Whether you're in the mood for a light lunch made with seasonal ingredients or a leisurely classic meal spread out over several courses, Swissôtel Lima's restaurants, bars and lounges provide a choice of ambience and delicacies from Peru and around the world. A sumptuous breakfast buffet also offers a wide range of choices to energize your day. Swissôtel Lima is located in the most exclusive residential and commercial district of San Isidro, with easy access to shopping, restaurants, and nightlife. Each of Swissôtel Lima's elegantly furnished, exquisite guest rooms are meticulously designed to meet the needs of contemporary travelers. Large standard rooms feature a spacious working area and generous marble bathrooms. Guest services include access to the gym and tennis court and 24-hour room service. The Country Club Lima Hotel is now considered a national monument. It is a truly exceptional expression of authentic Peruvian luxury hospitality. Finely decorated with more than 300 pieces of original artwork and colonial furniture on loan from the famed Pedro de Osma Museum, the Country Club Lima Hotel presents the perfect marriage of architectural charm, history and modern comfort. The Country Club Lima Hotel is located in the lovely district of San Isidro, the most exclusive residential and commercial district in Lima surrounded by embassies and facing a prestigious Golf Club. The city center is 15 minutes away. Rooms are large and very luxurious, with tons of antiques and old-world appeal although equipped with all the modern technologies and amenities. Novotel Cusco, located in the historic city center of Cusco, is in the perfect spot for discovering the Inca civilization. The hotel is in a 16th century building, and is an ideal starting point for visiting the cathedral and other hotspots of Cusco. Guests can enjoy international and local cuisine in La Cave Restaurant, or on the heated patio covered with a spectacular glass ceiling. The bar serves a wide variety of drinks and snacks, and you'll enjoy modern en suite furnishings with simple lines and restful amenities. The Novotel Cusco is located in Cusco's city center within walking distance of the major tourist attractions. All rooms of Cusco Novotel come with a minibar, a work desk, safety deposit box, and a private bathroom, and access to room service. Updated furnishings are complemented with soothing color schemes and welcoming bath amenities. Located in the heart of the archaeological center of America's oldest city. A few minutes from the Plaza de Armas, this hotel has modern architecture with fine colonial details. Located at only seven blocks from Cusco's main square and just 10 minutes from Cusco's international airport. Each of the 126 guestrooms offer a private bathroom, heating, cable TV, mini bar, medic service, security box, room service. All rooms have anti-noise windows. Casa Andina Classic Koricancha is a comfortable and welcoming hotel located just 4 blocks from the Plaza Mayor of the city of Cusco. It extends over 2 large colonial houses with 2 peaceful interior courtyards. Offering a restaurant on site and within walking distance of the Plaza de Armas and Santo Domingo Church, you'll have access to everything you need to enjoy your time in this great city. Rest peacefully in the hotel's updated rooms with comfortable bedding and private en suite bathrooms. Located a few blocks away from the Plaza Mayor and steps away from the Koricancha Temple in Cusco, this colonial hotel offers a peaceful retreat in the city center. Rooms are built around 2 courtyards and are brightly colored and decorated with Cusco textiles. They offer cable TV, safety deposit box, and modern en suite bathrooms, with a hairdryer. Luxury in the heart of the Inca city, this hotel is superior in every way. Built on a completely restored 16th century manor, the exquisite rooms, each with a unique feel and architecture surround the elaborate courtyards and lush inner gardens. 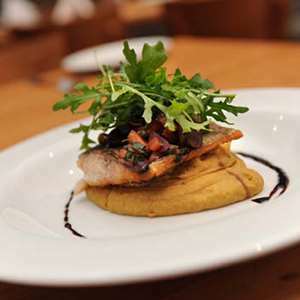 Mestizo restaurant and tapas bar complete the gastronomic offer. Antique paintings from the Cuzco School, colonial carvings and sculptures with high cultural value line up the corridors, encompassing a design that brings back its grandeur and lets history speak for itself. The essence of luxury and comfort, this boutique hotel sits in the heart of the Incan city of Cusco. Built from a colonial mansion, it completely captures the history of the location but adds a superior modernity and class. It offers elegant and sophisticated rooms with plush bedding, and strikingly beautiful grounds with plenty of ways to relax and enjoy this magical part of Peru. In the heart of the city's historical center, the JW Marriott Hotel Cusco combines the needs of today's luxury traveler with the design elements of an architecturally stunning archaeological site. History-seekers will find Peruvian cultural artifacts in the hotel's two exhibition halls. Accommodations are equipped with the latest technology and comfortable features. Designed around a colonial convent, this hotel in Peru features resort-like amenities including a Cusco restaurant with excellent Peruvian cuisine, a bar and a full-service spa offering a relaxation heated pool, sauna, steam room and treatments inspired by ancient techniques. Enjoy this luxurious hotel, located in the historical Cusco City Center, surrounded by the main Peruvian historical and archaeological sites. At the JW Marriott in Cusco, elegance meets functionality in this ancient and fascinating city. A beautifully renovated 18th-century manor house is located 3 blocks from Cusco's Plaza de Armas. The hotel is distinguished by its 3 interior patios with wooden balconies. The principal patio, featuring a gurgling stone fountain, is one of Cusco's emblematic colonial courtyards. Amenities include a gourmet restaurant, bar, reading room, room service, gift shop, and laundry service. In the heart of colonial Cusco, overlooking the small Limacpampa square & just 3 blocks from Cusco's Plaza de Armas. The hotel's 94 rooms feature full bath, TV, free wi-fi internet access, hairdryer, telephone, coffee maker and in-room safe. Oxygen is available in all rooms upon request. The riverside lands of an 18-century colonial hacienda have been restored into an exclusive 115-room hotel, comprising rural elegance within the hacienda and minimalist design in modern deluxe rooms. Complete with three restaurants, a 2,500 sq meter spa & wellness center with three hydrotherapy pools, art gallery, on-site museum, orchid pyramid and movie room, this hotel offers superior service and comfort, both inside your room and out of it - the perfect way to spend your time in this mystical part of the world. From Cusco en route to Machu Picchu, this luxurious hotel welcomes visitors into the Inca Empire of the Sacred Valley. Luxurious grounds and accommodations combine with world-class cuisine and service to make your stay unforgettable. The Casa Andina Premium Collection hotel in the Sacred Valley is a luxurious and satisfying retreat. Combining fine food, comfortable rooms, and personalized attention, it is the Valley's most complete hotel. In addition to a spa, a fitness center, and romantic dining, this hotel is best known for providing panoramic views of the Andes in every room. This charming mountain chalet-style hotel adds style and comfort to the already stunning atmosphere of Peru's Sacred Valley. This mountain chalet-styled retreat is located in the Sacred Valley with panoramic Andes views from every room. Experience Peru's Sacred Valley with stunning sophistication and repose. After enjoying the rugged terrain and mystery of Peru, settle into first-class accommodations, striking scenery, and all the comforts a traveler could need. The Libertador is a sanctuary - a peaceful and refined spot designed with luxury and adventure in mind. Between the authentic Peruvian cuisine of the Hawa restaurant, a stylish hotel bar, the luxurious spa, and a pool that allows you the warmth of the hotel and the chance to swim out into the open air of the Sacred Valley, you will be surrounded by the breathtaking beauty of this divine haven of mystery and wonder. Located in the Sacred Valley with an emerald lagoon and blooming riverside gardens. The Sumaq Hotel is located at the foot of the Machu Picchu ruins and boasts an Andean health spa, bar, restaurant, gift shop, and business center. The Sumaq Hotel is located at the foot of the Machu Picchu ruins. Noted for their attention to detail, each room is designed for comfort and relaxation. These guestrooms include traditional décor and beautiful views. This is one of the newest hotels to come to the Machu Picchu area and offers Casa Andina's fine standards and everything you'll need for a comfortable stay. Clean lines, modern colors, and friendly staff welcome you as you settle in for your adventures to the ruins. With every part of the hotel brand new you'll feel refreshed and well cared for during your visit. Casa Andina Classic Machu Picchu is a friendly and cozy hotel that provides you a strategic location in Aguas Calientes, nearest access point to the historic sanctuary of Machu Picchu. Rooms are tastefully decorated with beautiful color contrasts and a brand new crisp feeling, featuring comfortable beds, hairdryer, flat screen televisions, soft lighting, ceiling fan, and safe deposit box. Refugio Amazonas is the latest addition to Rainforest Expeditions Tambopata portfolio, and an important property in its sustainability. It is becoming integrated to the communities of Brazil nut extractors that surround it, attempting to extend the benefits of ecotourism to the families committed to sustainable forest use. This lodge offers the most superior accommodations in Peru's Amazon and provides and unforgettable brush with nature. It features a dining room with buffet meals, wellness center, kerosene lamps and candles at night, and generator for battery charging. Each guest room is equipped with a private bathroom with hot water, mosquito netted beds, and private verandas. This 32-bedroom lodge is located on a 200-hectare private reserve within the Tambopata National Reserve. The Refugio Amazonas is welcoming to visitors of all adventure levels, offering comfortable accommodations and relaxing amenities and services. It allows you to unite with nature, connected by raised boardwalks and completely surrounded by open rainforest, where wild monkeys and birds are often visible from your room's veranda. Guestrooms feature an authentic Ese-Eja décor, which has been crafted by artists from the local community of Infierno. All rooms offer private bathrooms with access to hot water showers and an open verandah to maximize the experience with the tropical rainforest. 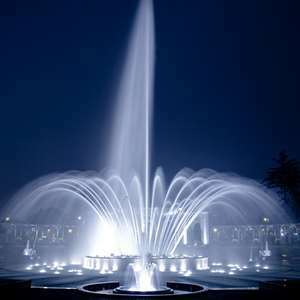 Be amazed by the largest electronic water fountain complex in the world. You will enjoy a wonderful show of water, lights, music and images presented in the famous "Parque de la Reserva". Visit the Pachacamac Pilgrimage Center, built around 700 A.D. as a temple for the worship of the sun god, Pachacamac. It once housed an oracle that is believed to be one of the main pilgrimage centers in pre-Columbian Peru. Head to this landmark location in the heart of Cusco for an extraordinary dinner. Monograms provides travelers access to a Local Host®, so you will have someone on hand to answer those vacation questions pertaining to Quito. No waiting in line at the concierge desk or trying to ask your waitress at breakfast directions to the shopping district. Simply ask your Local Host® about Quito and you'll be on your way in no time. Plus, your Local Host® will share local Quito insights and share suggestions for getting off the beaten path, leaving you more time to create lasting vacation memories that are yours alone. I was born in Quito and lived here most of my life. I always liked to travel and that is why after finishing high school, I decided to study tourism administration. While I was studying at the University, I started to work as a tour guide and found it very interesting. Being a tour guide allows me to meet people from many different places and it took me to incredible places. For a period of time I moved to Argentina where I taught Spanish and English but I missed my family and country, so I decided to come back to Ecuador. When I came back to Quito, I worked as a Key Account Executive for a tour operator, which was a great experience for my career, but after a time, I decided to be a tour guide again. I realized I enjoy being with people outside in the nature more than working in an office, and I am able to have more time for other activities I like, such as painting and working with the children of my church. Owning a “toquilla hat” means owning a piece of myth and legend. Visit this local outlet for renowned Cuenca hat manufacturer, Ortega and Sons, for the best hats hand-woven in Ecuador since 1899. Held every weekend, this market sells everything from handmade jewelry to carved wood. But it’s famous for its paintings depicting Quito’s city scenes. If you want a piece of art to remember your visit to Quito, this is the place to go. For a true taste of Quito, visit the vegetable, herb, and flower stands of this colorful farmer’s market. You can even purchase a locally woven basket to carry home your loot. Whether you sit inside by the fireplace or outside by the garden, you’ll enjoy panoramic views of Quito while savoring traditional Ecuadorian dishes like lamb stew and fried bananas. This quiet street in one of Quito’s best-preserved sections winds around 18th-century stucco houses with brightly colored balconies. It offers the perfect spot for a leisurely stroll. Locals venture to this charming square on the weekends to listen to storytellers and delight in jugglers and mimes. Tucked in a residential area of Quito, this museum features the works of Oswaldo Guayasamin, one of Ecuador’s most famous and prolific modern artists. A British pub, La Reina Victoria, is practically the only place in Quito where you can get a draft beer. Enjoy a pint and a game of darts. If you’d like to take home some Ecuadorian literature or photo books, this bookstore carries an extensive collection of books in both Spanish and English. Located in Av Fosch between Amazonas and Reina Victoria, you’ll discover lots of good restaurants and cocktail bars here. Sometimes concerts are held in the square. Monograms provides travelers access to a Local Host®, so you will have someone on hand to answer those vacation questions pertaining to Lima. No waiting in line at the concierge desk or trying to ask your waitress at breakfast directions to the shopping district. Simply ask your Local Host® about Lima and you'll be on your way in no time. Plus, your Local Host® will share local Lima insights and share suggestions for getting off the beaten path, leaving you more time to create lasting vacation memories that are yours alone. Hello my name is Julio Castro and for many years I worked in the Sales Department of a very large International Corporation. There it was always emphasized that we were not supposed to create satisfied customers because that was not enough. What we were required to do was to produce ONLY delighted customers and that has been my personal philosophy ever since. I am eager to show the many wondrous and beautiful features of Lima, Peru with our guests. This museum, located in Barranco, has one of the best painting collections in Peru with pieces dating back to the 16th century. The paintings from well-known artists are on linen cloth, metal, wood, glass and leather. Antique pieces of furniture, silver, sculptures and textiles are also part of the collection. The base for the Museum Pedro de Osma came from the personal collection formed by Don Pedro de Osma Gildemeister between 1936 and 1967. He had remarkable knowledge of the Peruvian art and gradually gathered various exquisite objects dating from the 16th to the 19th century. All the pieces were kept in the large family house in Barranco, arranged in a tight exhibition (style of the European palace museums in the 19th century). The fortress was built in 1747 to protect the port from pirates and was the last Spanish bastion during the independence of Peru. Today, it houses an interesting military museum. This museum is located in downtown Lima and exhibits pieces of the culture of Lima, Inca and Chancay that took place during the colonial and republican period. The world’s largest collection of pre-Columbian art is housed in this museum. Marvel at the 45,000 pieces of ceramics, textiles, and jewelry from the Moche Dynasty. For a bite on the run, this gourmet market is the place to go. Grab a salad or sandwich to go, or if you have the time, linger over the passion fruit tart in the café. Peru is famous for its ceviche—a dish of seafood marinated in citrus juices and served with roasted corn and onions. Canta Rana serves some of the best in Lima. For handicrafts made in Peru, this shop in Miraflores offers a unique collection of weavings, ceramics, and silver. Peru’s most famous cocktail is the Pisco Sour, made from Pisco, a regional grape brandy. You can enjoy one on the garden patio of this watering hole in the Barranco neighborhood. Occupying an old house overlooking the ocean, the setting is as great as the drink. This neighborhood in Lima holds South America’s largest Chinese community. Visit any number of the neighborhood’s chifas for Chinese cuisine with a Peruvian twist. You can’t visit Lima without seeing at least one peña—a show at a criollo music club with inspiring vocal and dance performances. This criollo club, named after a famous Peruvian song, offers a terrific show. It’s difficult to maintain your exercise routine on vacation. It’s even more difficult in a traffic-heavy city like Lima. The biking and jogging paths along the malecón in Miraflores offer a great way to get some exercise and see the city at the same time. Experience the grandeur of this 1927 hacienda-style hotel. Enjoy afternoon tea under the light of elegant chandeliers as a pianist offers enjoyable background music. Enjoy the National Museum, where impressive halls exhibit the most important aspects in the development of ancient Peru. Exhibits include replicas of archaeological sites, engravings and dioramas, and an extensive collection of ancient material. Built around 700 AD as a temple for the worship of the sun god Pachacamac, it housed an oracle that is believed to be one of the main pilgrimage centers in pre-Columbian Peru and on a par with Cuzco. Pilgrims flocked here from far away to worship Pachacamac, who was believed to be the creator of the world and its creatures. The site includes palaces, plazas, and temples that have been painstakingly restored. The on-site museum has a collection of local relics. Every major city has its bohemian district—where all the artists and musicians hang out—and for Lima, this district is Barranco. The advantage of Barranco is that it combines all this with being a fashionable beach resort too. Originally a playground and place to spend the summer for the old aristocracy of Lima, the district is a cluster of houses, shops, and restaurants in and around a ravine near a cliff overlooking the beach. In Barranco, it is relatively easy to find a place to sip a coffee or a beer while enjoying a fine view over the ocean. Sail to the islands of Callao. First see the yachts, warships, and merchant ships at anchor in Callao Bay. Then sail over "El Camotal" into the open sea, and observe sunken and stranded ships. Pass the Isle of San Lorenzo—with its long history going back to pre-Columbian times. There are fishing boats at work and many colonies of sea birds and Humboldt penguins. The farthest point on the trip is Palomino Island, home to a large number of seals and sea lions. In a wetsuit, you can swim among them, as they have no predators—it is an unforgettable and emotional moment. Then start your voyage back through impressively shaped islets and rocks. This warm and chic modern, colonial dining room is hidden discreetly on a busy side street leading to Parque Central in the Miraflores district. The restaurant has high, white-peaked ceilings and orange walls decorated with colorful modern art—the products of local art students. At the back is an open kitchen, where one of the owners, Gastón, can be seen cooking with his staff. The place is sophisticated but low-key—a description that could fit most of its clients, who all seem to be regulars. The menu might be called "criollo-Mediterranean" with a light Peruvian touch. Monograms provides travelers access to a Local Host®, so you will have someone on hand to answer those vacation questions pertaining to Cusco. No waiting in line at the concierge desk or trying to ask your waitress at breakfast directions to the shopping district. Simply ask your Local Host about Cusco and you'll be on your way in no time. Plus, your Local Host will share local Cusco insights and share suggestions for getting off the beaten path, leaving you more time to create lasting vacation memories that are yours alone. Hello my name is Jorge Malaga. What I like about Cusco is the peace it makes you feel. A tour to the Sacred Valley of the Incas on a sunny day is enough to make you relax and enjoy this peace and harmony, in which its people live every day. I really admire this city and its cultural identity that amazes everyone who visits our archaeological sites. Cuzco’s version of the sidewalk café is the quinta—an open-air restaurant with affordably priced Peruvian fare. Quinta Eulalia is Cuzco’s oldest quinta, and it offers a little history with a lot of food. Restaurante Illary offers a fine-dining experience in the Hotel Monasterio. Savor the alpaca tenderloin in the sacred setting of this former monastery. Many will try to sell you what you believe to be 100% alpaca, but you can rest assured that the sweaters, scarves, and blankets at this shop are the real deal. Handmade silver jewelry is an excellent purchase in Cuzco. If you want to know the name behind your special find, purchase a piece from this local craftsman. This bustling coffee shop is famous for its ponche de leche, a beverage made with milk and a shot of pisco, and its lenguas, a flaky pastry with a crème filling. If you can make the steep walk from the Plaza de Armas to this charming neighborhood, you won’t regret it. Panoramic views of the city can be seen outside the artists’ workshops that line the streets of this picturesque area. There are many handicraft shops in Cuzco. This one is known internationally for its saint figures with elongated necks. Founded in 1937, this museum houses an interesting collection of masks and other carved items. Its most interesting display is its large collection of dolls. Cuzco may be the gateway to Machu Picchu, but there are smaller ruins you shouldn’t miss. Water still flows over a system of complicated canals at this amazing site—also known as the Inca Baths. Raised on Inca foundations by Admiral Aldrete Maldonado in the early-17th century, this home has a magnificent baroque doorway emblazoned with the admiral’s coat of arms, a large arched patio, and salons with coffered ceilings. It exhibits keros (carved ceremonial goblets), weavings, mummies, and silver and gold figurines, as well as Inca weapons, tools, and ceramics. Enjoy this area where South American camelidae are bred. Learn about the superb fibers that come from llamas, alpacas, and vicunas. Also learn about the ancient weaving techniques, which are still in use. Pablo Seminario has been dedicated to the discovery of the techniques and design from ancient Peruvian cultures. Mr. Seminario presents a new art expression providing continuity to these cultural inheritances. Enjoy this pretty town 35 km (1 hour) from Cuzco along the paved highway to Puno. Its unique church, San Pedro de Andahuaylillas, is the biggest attraction for visitors. Located a few meters off the Main Square of the fascinating city of Cuzco in an old Inca palace, the new Incanto is definitely worth a visit. Welcoming and contemporary, its varied menu contains more than 80 dishes. The restaurant offers Italian food, pasta, and various specialties from the grill cooked with an original touch and Peruvian ingredients. On the second floor of a colonial-era townhouse, this restaurant has a unique personality. La Panaderia serves gourmet breakfasts with breads straight out of the oven. The tapas bar is a perfect relaxing place to enjoy a glass of wine and some tapas. The main dining room offers an unforgettable fusion of Mediterranean dishes made with Andean ingredients. Learn about the history of the Cacao and the chocolate, the Cacao’s tree and its small chocolate factory where the products are made. Enjoy a workshop in the Museum: Roasting of the cacao beans, cacao husk removal, grinding of the cacao nibs on a metate with a mano (the way the aztecs did) or with a batang (like Incas here in Peru), refining and conching of the cacao paste in a melangeur. Tipon is important for its excellent hydraulic engineering work and it is composed by an agricultural group of platforms with long steps and ducts elaborated in limestone. This impressive system of irrigation is still used in agriculture. Some of the fountains in Tipon must have ceremonial purposes. Tipon is considered an Inca temple dedicated to the water cult. Piquillacta is a national archaeological park with landscapes of great interest. This archaeological Pre-Inca citadel was one of the most spectacular regional centers of the Wari culture. The constructions of Piquillacta are composed by more than 700 structures displayed in a harmonious and symmetric way, with different buildings that should have sheltered a population of about ten thousand people. It’s located one hour by walking from Aguas Calientes; find lots of butterflies and birds, and maybe even orchids at the right time of year. Located in Cusco city, the exhibition of over 360 archaeological pieces from Machu Picchu that were recently returned by the U.S. Yale University will be held at the newly-renovated Casa Concha. You will be able to appreciate ceramics, stone and metal objects, fragments of bones as well as a nearly complete skeleton of a male between 23 and 25 years. A tranvia is a vehicle designed to look like the old mule-pulled streetcars that once traversed Cusco. It offers sightseeing through the main streets in Cusco and visits 40 different places in Cusco city. Monograms provides traveler’s access to a Local Host, so you will have someone on hand to answer those vacation questions pertaining to Sacred Valley, Peru. No waiting in line at the concierge desk or trying to ask your waitress at breakfast directions to the shopping district. Simply ask your Local Host about Sacred Valley and you'll be on your way in no time. Plus, your Local Host will share local Sacred Valley insights and share suggestions for getting off the beaten path, leaving you more time to create lasting vacation memories that are yours alone. I'm passionate about working as a tour guide in Sacred Valley and Machu Picchu because it gives me the opportunity to appreciate this wonderful country, its culture, nature and traditions. I love my job because every day I get to show the world how great and unique my home country, Peru is, and my favorite places - Machu Picchu and Sacred Valley. On this perfect nature walk, you might encounter butterflies and birds, even orchids at the right time of year. A private nature reserve located 4km from Machu Picchu Pueblo (Aguas Calientes), where you can walk into bio diverse gardens to learn and enjoy. You’ll understand and appreciate the restoration, conservation and preservation of the habitat of hundreds of species of flora and fauna in a vulnerable state, due to many factors such as climate change and human impact. The Peruvian Paso horse has been bred in this region for centuries and they are known for their smooth gait even while traversing the terraced landscape of the Sacred Valley. At Wayra Ranch in the Sacred Valley, see a demonstration on these beautiful horses and traditional folkloric dances performed with the horses. You can even take a quick ride on one of the horses if you are adventurous! Peru is known for its Alpaca wool so you really can’t go home without any. Many vendors in Peru will try to sell you what you believe to be 100% alpaca, but you can rest assured that the sweaters, scarves, and blankets at “Alpaca’s Best” are the real deal. 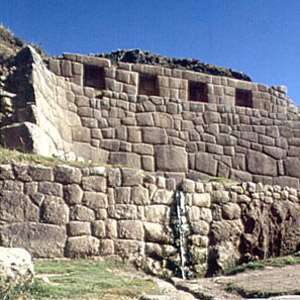 Tipon is an important set of Inca ruins known for its excellent hydraulic engineering work and it is composed by an agricultural group of platforms with long steps and ducts elaborated in limestone. This impressive system of irrigation is still used in agriculture. Some of the fountains in Tipon have ceremonial purposes. Tipon is considered an Inca temple dedicated to the water cult. This is also a great spot to try Cuy, a traditional Incan meal of guinea pig. Definitely a must see in the Sacred Valley are the salt mines. A stroll through and you’ll be amazed at how the Incas built this maze of hand-made channels that divert saltwater springs into the exposure of the sun. Once the water evaporates, the salt is collected to be sold – an ancient old tradition still in use today. Beyond the engineering, the views from the mines are breathtaking! Monograms provides traveler’s access to a Local Host, so you will have someone on hand to answer those vacation questions pertaining to Machu Picchu. No waiting in line at the concierge desk or trying to ask your waitress at breakfast directions to the shopping district. Simply ask your Local Host about Machu Picchu and you'll be on your way in no time. Plus, your Local Host will share local Machu Picchu insights and share suggestions for getting off the beaten path, leaving you more time to create lasting vacation memories that are yours alone. I'm passionate about working as a tour guide in Machu Picchu and the Sacred Valley because it gives me the opportunity to appreciate this wonderful country, its culture, nature and traditions. I love my job because every day I get to show the world how great and unique my home country, Peru is, and my favorite place - Machu Picchu and the Sacred Valley.